Calallen is making the program's 12th state semifinal appearance while Marshall is in its first this Friday. 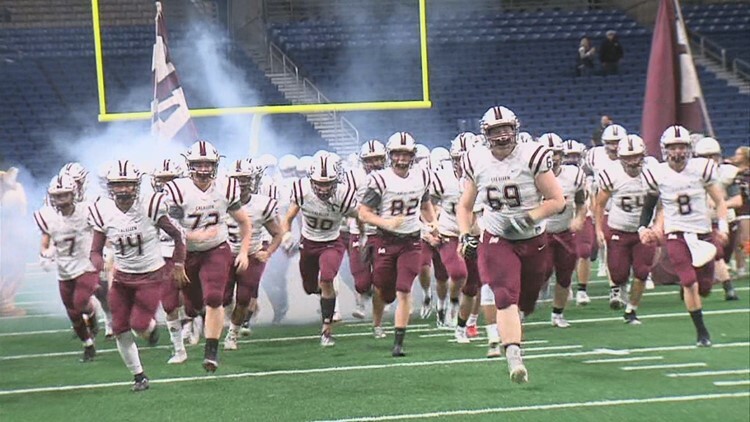 CORPUS CHRISTI (KIII SPORTS) — The Calallen Wildcats are one win away from the program's third state championship game, but to get there they've got to get past a stout Fort Bend Marshall team. The Buffalos come into the state semis matchup at 14-0 and are making their first appearance in the final four in program history. While Marshall can certainly put up the points, having scored at least 47 points every game so far in the playoffs, they also can give up some points on the defensive side. Calallen coach Phil Danaher says he hopes the 'Cats' "Wing T" offense will give the Buffs' defense some fits in an age of wide open offenses. Calallen will face Marshall Friday night in the 5A-II State Semifinal at 7:30 pm at Farris Stadium in San Antonio. 3Sports will have a crew on hand and will have complete highlights.